529 college savings plans are a special type of account that are designed to help individuals and families save money for college. IFG can help individuals and families learn more about how to save for college, and can help them pick a plan that works for their needs and budget. Our Benefits Consultants can work directly with our clients to help families of employees to learn more about the variety of options available to them, and decide which type of college savings plan will fit their needs and budget. Individuals and families who work with IFG will maximize their children’s educational funds by making an informed choice about the optimal plan for them. 529 college savings plans are a special type of account that are designed to help individuals and families save money for college. These plans were named after a section of the tax code, and are sponsored by states or educational institutions. They are a simple and effective way of putting aside money for college, as participants can set up a monthly contribution to ensure regular savings. This type of plan is subject to both state and federal regulations. There are two types of 529 savings plans, each of which has its own advantages: prepaid plans and savings plans. 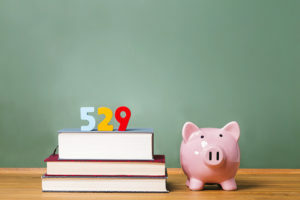 Prepaid 529 savings plans are sponsored by individual states, and may enable families to pay in advance for the cost of an in-state college education. These plans are typically limited to in-state residents. Using this type of plan may help families to lock in rates on tuition, fees and other costs. In some cases, once the money is in the account, the plans are obligated to deliver the promised benefits. If a family puts $10,000 into a prepaid account for a year of tuition at an in-state university, for example, that university has to accept the $10,000 for a year of tuition whenever that child goes to college, even if the tuition rate has doubled or tripled. The expenses covered by prepaid plans vary based upon the specific plan. Some Prepaid plans may cover some or all costs, while others may only focus on saving only for tuition and fees. Additional, prepaid plans may allow for participants to pay in advance for all qualified higher education expenses. Many plans are not accepting new applicants, given the fast-rising cost of a college education. If the beneficiary of the account decides to go to a private university or out-of-state school, the value of the account can be converted to be used at that institution (although the full value of the account may not be realized). In addition to state-sponsored plans, some educational institutions offer prepaid plans, each of which has its own rules for qualified costs and transferring the account’s value. 529 college savings plans may offer greater flexibility for participants. Money is saved in the account, and then can be used for any qualified higher education expense at any college or university. When funds are added to a 529 savings plan, the money is invested in mutual funds, stocks or bonds based on the account holder’s choice. The plan’s value changes based on the investment’s performance, with earnings growing tax-free. Most states provide additional tax incentives for contributions to a 529 savings plan. Once a beneficiary has reached college age, money from the savings plan can be withdrawn for any qualified expense, including tuition and fees, some room and board expenses, books, computers and related equipment. This money cannot be used for non-qualified expenses, such as transportation costs and student loan repayments. If the funds are put towards a nonqualified expense, the account’s earnings may be subject to taxation and the account holder may pay a penalty. The advantage of a 529 savings plan over a pre-paid plan is greater flexibility. The full value of the plan can be used at any accredited college or university in the United States (and at some foreign institutions). For many individuals and families, this makes a 529 college savings plan a viable option because the beneficiary is not limited in choice of schooling. Whether choosing a prepaid plan or savings plan, 529 plans have unique advantages over other ways of saving for college. Contributions to the plans are generally not deductible on federal taxes, but may be excluded from income for state and local tax purposes, depending on the state of residence. 34 states offer a full or partial tax deduction or credit for 529 plan contributions. Any earnings on these plans are free from federal taxes, and withdrawals will not be taxed so long as they are used for qualified expenses. Contributions do not have to be reported on federal tax returns, and qualify for the gift tax exclusion for up to $14,000 per person each year. In addition to the tax benefits, 529 plans give greater control over the account than other forms of savings. The person who established the account remains its owner, and can ensure that the funds are used for qualified education expenses for the beneficiary. Depending on the specifics of the plan, participants may be eligible to enroll in automatic deductions, change investment options twice each year, and rollover the funds once each year. These plans can also be established by anyone; there are no age or income limits, and any person can set up an account for a beneficiary, with no limit on the number of accounts that a person can establish. For most parents, grandparents, aunts and uncles, the prospect of saving for college is a daunting one. However, IFG’s Consultants can help clients understand the full range of college savings options, including the different 529 college savings plans available in their state. By working with our Benefits Consultants, families will be able to effectively plan for their children’s future and ensure that their money is well-invested to provide for their children’s college education. 529 Plans are subject to investment risk, including possible loss of principal. Before investing, carefully consider the investment objectives, risks, limitations, charges and expenses of the product and its underlying investment options. This information can be found in the product and investment option Official Statement. Official Statements can be obtained by calling our office. Please read carefully before investing.